Deanna Dotta has worked as a 911 dispatcher and currently works with the San Diego Police Departments Wellness/Peer Support Unit. Deanna teams up with others to help first responders receive safe and confidential guidance and support regarding their mental health and other issues. 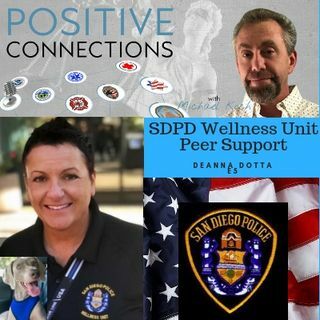 SDPD is a leader in the first responder community when it comes to peer support and their wellness unit is a positive model for other departments to follow.